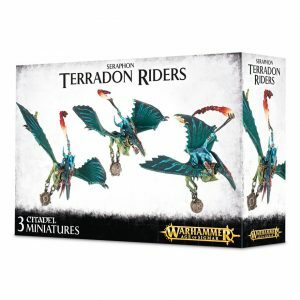 The stars of war align above the Mortal Realms! 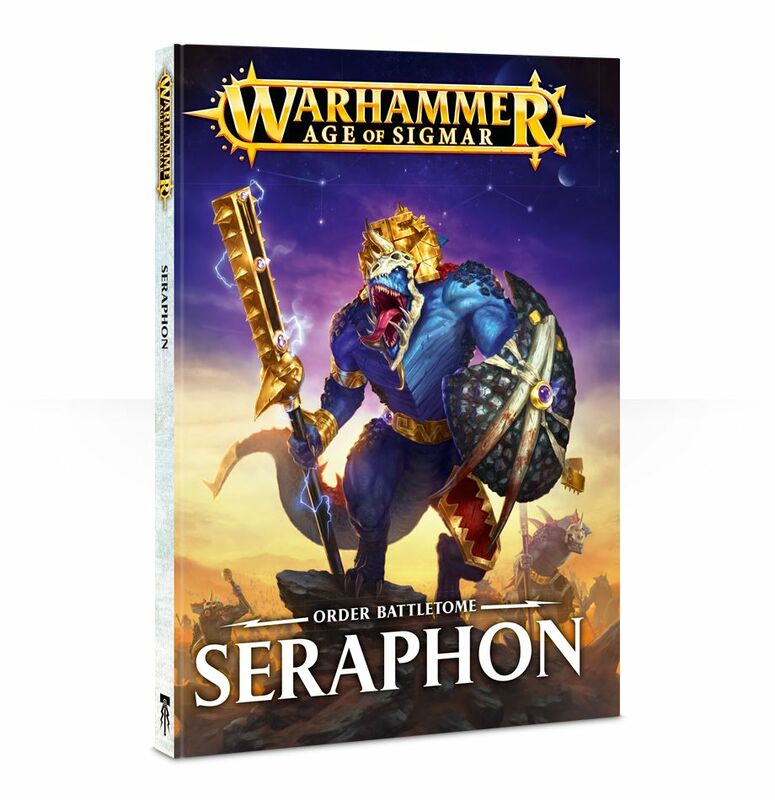 Older than memory, existing for aeons unrecorded, the seraphon have ever waged an unending, savage war against Chaos. Descending to strike a vengeful blow against the Dark Gods as the Age of Sigmar dawns, they seek to bring order to the Mortal Realms. 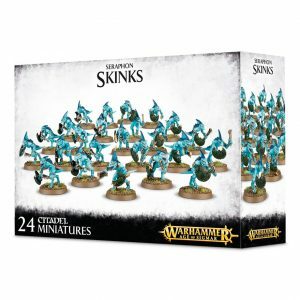 Summoned by the incredible power of the Slann Starmasters, they materialise from the energy of the stars themselves – nimble skinks, predatory saurus and hulking kroxigor, each intent on destroying the forces that have corrupted and darkened the realms almost beyond repair. 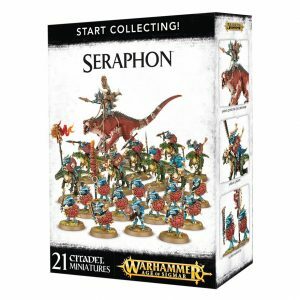 Wrought of purest star-magic, the seraphon are true beings of Azyr. 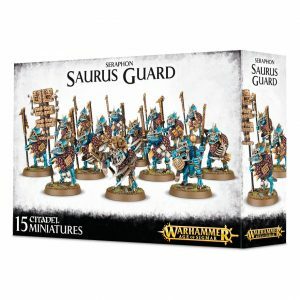 the compelling story of the seraphon – who are they, where have they come from, and for whom do they fight? And, of course, the complete ruleset for Warhammer Age of Sigmar – play games right away!